What a paw-some idea to have a pet town themed party for a little boy’s first birthday bash! Come on, I know you also get that feeling when you see something that is so cute you can’t help but want to squeeze it! That’s cute aggression, the same feeling you’ll get when you see our adorable birthday boy, Kaeden, and his fluffy, cuddly, furry, little friends. It’s a purr-fect combination, right? They’re nothing but all kinds of cuteness! Party Magic gave this soiree a great coat with their superb paw-ty grooming. So, Come-Sit-Stay, as we take a closer look at some of the picture-purr-fect snaps captured by Everyday Sunday Studios. 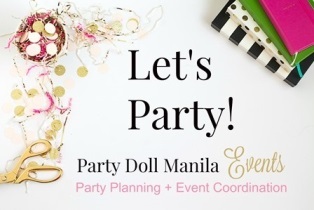 Party Doll Manila Events did a splendid job rounding up the pack for a ruff-reshingly fun affair. Let’s cut to the chase, who can resist this charming invite, huh? A burst of soft, pastel colors; and the adorable, cute design; got us all howling with glee. I bet this bright and delightful entrance had guests running in no time to get right ‘pup’ the door. This salvo displayed different breeds of dogs; in different shades of pastel that’ll make one rush to Pet-landia in a jiffy. Heads-up to the ceiling! Now that looks like a perfect weather for a walk in the park. This unique overhead design had us woofing and meowing in awe with its array of decorations, from fringes, round paper lanterns, dog bones, to metallic letter balloons that spelled out ‘meow’ and ‘woof’! Oh did you know that Party Magic is not only good in styling; they are great in building a town! Just like what you see here, it’s a pet town built just for our birthday boy, Kaeden. From pet groomer, pet chow, to pet spa; this town has everything to pamper our cuddly little fluffy friends; you can see satisfaction in their happy grins. The table centerpieces are nothing but cuteness! These pups in their dog houses instantly give that warm homey vibe and will make you feel like you want to play fetch in the backyard. Kaeden’s two-layer cake is simply adorable! Cottontail Cake Studio made sure that the pet town theme continued to the cake. The bottom layer is surrounded with pet shops; while around the top layer are white fences with tiny pets wandering about. And of course, the top part of the cake has a backyard scene with a dog house, a few squishy pets, and Kaeden. Using a picnic table for the dessert spread is genius! This sweet spread has an array of yummy treats that will have one galloping to grab a bite. Cupcakes, sugar cookies, rice krispies, and more — no need for a trick to get a treat. The perfect show in an animal themed party is of course, an animal show! Dr. Bernardo’s Birds and Reptile Show made everyone jump from their seats with an amazingly, heart-stopping educational entertainment. And with Wizzo the Magician, as your party host, you are guaranteed a worry-free celebration. Kids and adults alike enjoyed a smashing time with fun games and wonderful magic show. Party food carts are now a must-have at any party or event. And Kaeden’s first birthday bash is no exception. There’s Black Wagyu, Merry Moo, Happy Lemon, Potato Madness, to name a few; that the guests absolutely enjoyed. Some of the side activities involved playing with pets! Fishies, hamsters and bunnies are just heart-melters because of their cuteness. A special nook for photo ops is just around the corner. A pet shop scene is set-up to have picture-perfect photos that are Instagram-worthy. Little guests took home a charming lunch bag by Andotherthings. The eye-catching design and shade makes it the perfect giveaway. Here’s adorable little Kaeden, with his lovely parents. Hope you had a lot of fun in Pet Town as much as we have!